Directions. Add 1 1/2 ounces of the vodka to each champagne flute. Top with 1 1/2 ounces of the pomegranate juice and 1 tablespoon of the lime juice. 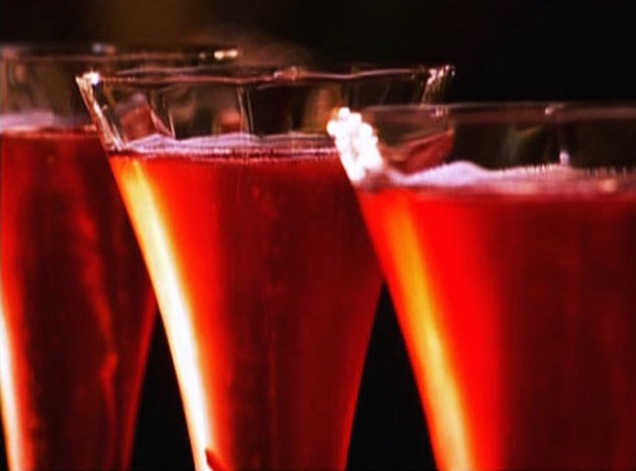 Add the Champagne or sparkling wine and a cherry to each flute for a sweet garnish. Salut! 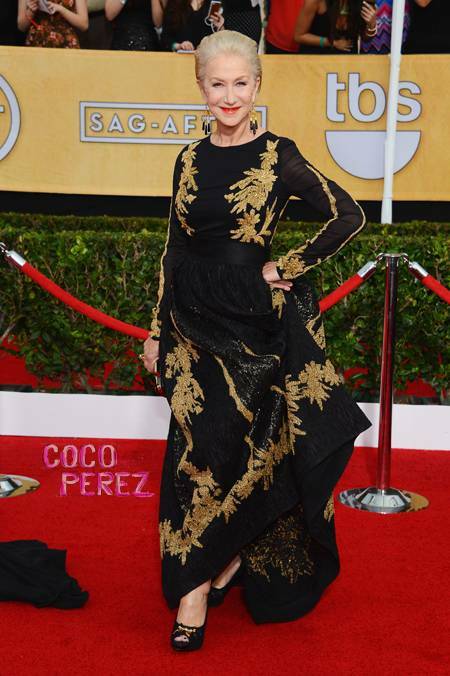 My initial observation, the SAGs didn’t bring as much glamour and glam as the Golden Globes; but still there were some standouts. Let’s go. My fav was Miss Lupita. 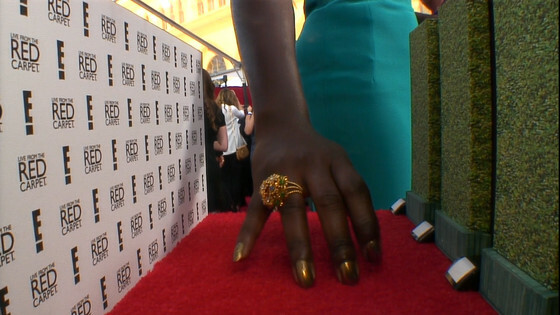 The gold Deborah Lippmann polish, paired with the Fred Leighton ring, against the turquoise Gucci gown was simply beautiful. Sarah Hyland. Pretty and fresh was the first thought that came to mind when I saw this young Hollywood starlet. I love the strapless light pink/blush Pamella Roland, with the gathered empire waist. What you don’t see is that the dress has pockets! I love pockets. The dress works well with the Jimmy Choo’s and the Neil Lane clutch. Also, loving the deep part, side sweep hair a la Veronica Lake. Gretchel Mol. I only caught a brief glimpse of Gretchen Mol as she arrived on the red carpet; but loved her dress. Not everybody can pull off white, but she does it well. This J. Mendel with the mesh top is modern and clean. The Big O! 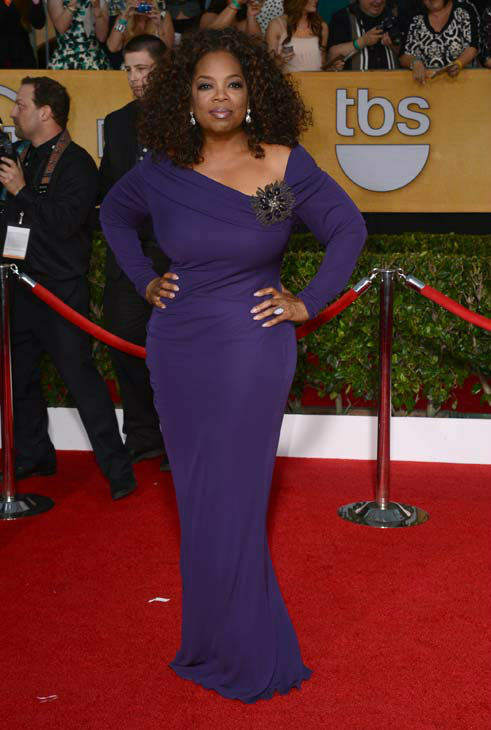 Oprah Winfrey looked FABULOUS! She was wearing that deep purple Badgley Mischka! And, love the big hair! She is indeed the queen of all media! Camila Alves. Mrs. McConaughey was simply gorgeous in this jeweled-toned vintage Donna Karan Atelier. She looked absolutely statuesque and stunning! Lupita Nyong’o. This Doll is batting 100% this awards season. The turquoise Gucci silk crepe column dress, with embellished collar was sick! So far, she can do no wrong in my book. Kerry Washington. I chose soon-to-be Mommy, Mrs. Asomugha, because she was an absolute risk-taker last night in custom Prada. Most Dolls would stay away from showing their baby bump, but not Kerry. I loved the pink sequined cropped top, with the high-waisted black skirt. The cute bun and black satin headband were perfect. The Twitter-verse lit up with comments. I loved it. Two of my favorite actors looked grand last night and earned a well-deserved “shout out!” They gave old Hollywood glamour! 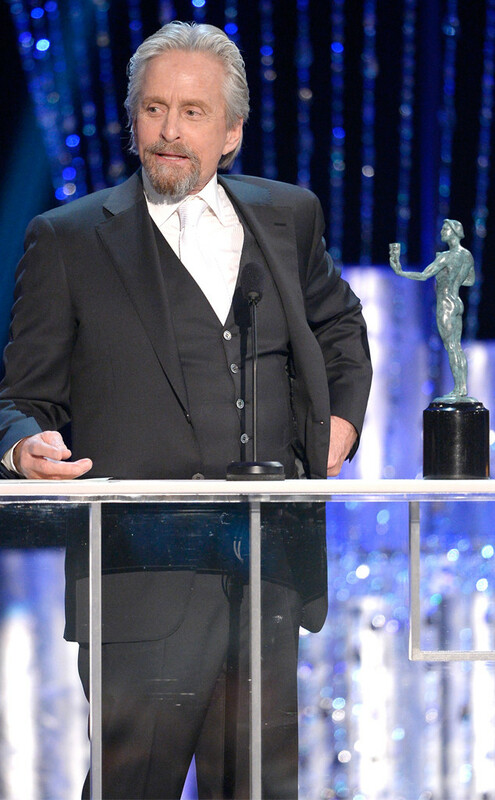 Standing ovation for Michael Douglas (even with the scruffy beard) and Dame Helen Mirren. There you have it; my SAG Edition of Champagne Sunday! Who caught your eye last night?